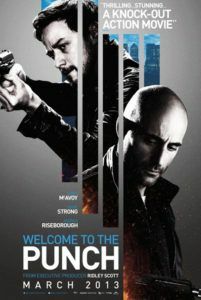 Genre practitioners from Michael Mann to John Woo are referenced in British writer-director Eran Creevy’s second feature, Welcome to the Punch. After his gritty debut in 2008 with Shifty, Creevy explores the policier with a blue-steel-hued production reeking with familiar genre tropes: There’s a determined, solitary cop; a hardened crime boss whose crimes are barely detailed even while he’s described as a “legend”; there’s an idealistic young cop whose death becomes ammunition for a revenge mission; and there’s a corrupt politician with an upcoming election to consider. 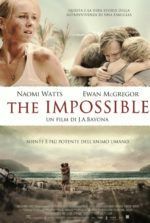 Despite Creevy’s slick-looking approach and the film’s impressive roster of actors (including James McAvoy, Mark Strong, Andrea Riseborough, David Morrissey, and Peter Mullan), the film makes too few innovations on a worn-down formula to be memorable. Boyish McAvoy seems a shade miscast as hard-edged cop Max, a London detective determined to catch super-criminal Jacob (Strong). In the thrilling and stylish opening sequence, Max single-handedly chases down Jacob and his crew through the deserted streets and subway tunnels of London’s business district after a robbery. Unarmed as London police often are, Max finds himself outgunned and catches a bullet in his leg. Some three years later, the wound (which must be drained every few hours) has left Max ever in pain and ever reminded of his failure, while Jacob has retired to a quiet getaway in Iceland. Max, teamed with a green partner Sarah (Andrea Riseborough, underused) finds himself with a rare second chance when Jacob’s teenage son (Elyes Gabel) lands himself in custody after a heist-gone-wrong, having made a desperate last-minute call to his dad just before his capture. The cops-and-robbers chase ensues once more, as Max obsessively seeks redemption with a second chance to catch Jacob. Back at police headquarters, police chief Geiger (David Morrissey) helps orchestrate the campaign for the Home Secretary (Robert Portal) who wants a new law passed allowing cops to carry guns. Herein lies the political undercurrent of Welcome to the Punch, whose snazzy title refers to a storage facility housing a container of guns imported by The Powers That Be to illustrate how desperately the police are outgunned. However nonsensical the central plot and underdeveloped the liberal political message, the policier components play out in typical fashion, with cop and criminal finally banding together against their common enemy: the corrupt politicians who want both good cops and moralized crooks out of the way so their nefarious plans can be carried out. Unfortunately, the message that cops are outmatched by the criminal element on London streets is overshadowed by the film’s dependence on cop actioner formula. McAvoy comes very close to pulling off this hardened detective role under a face of scruff and an ever-present scowl. His scenes with Riceborough barely hint at an attraction between Max and Sarah, and perhaps some additional character development would have made the predictable turns between them more involving and more dramatic. Strong, paired with Jacob’s old dog partner (Mullan), gives another in a long line of tough guy performances, the grizzly and imposing quality of which cannot be denied. As for Morrissey, perhaps his role as the sadistic Governor on AMC’s The Walking Dead has made him forever suspect, but it’s almost impossible now to see him as anything but corrupt and misguided. His presence—though always welcome—may have done the film a disservice if it wasn’t for the genre’s predictable, inescapable tendency to give us corrupt politicians. There’s nothing very wrong about Welcome to the Punch, but there’s also very little about this urban cop yarn that proves to be anything more than serviceable. 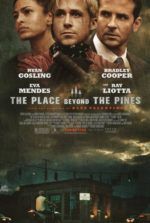 Under executive producer Ridley Scott (whose own cops-and-crook drama American Gangster is an obvious influence), Creevy handles the technical and visual presentation with control and delivers a watchable cat-and-mouse thriller that leads to an exciting shootout in the finale. The story keeps our attention, as the cast is comprised of talented actors who enhance their uninteresting roles by just being there. But something’s missing from the proceedings. Perhaps it’s personality. Perhaps it’s an undercurrent of emotion. 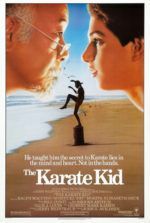 After it’s over, the film becomes all too easy to shrug off and forget. For some policier’s that’s just fine; but for one with a thematic undercurrent and ultimately a political message to convey, forgetting about the film the moment it’s over represents a failure of purpose.